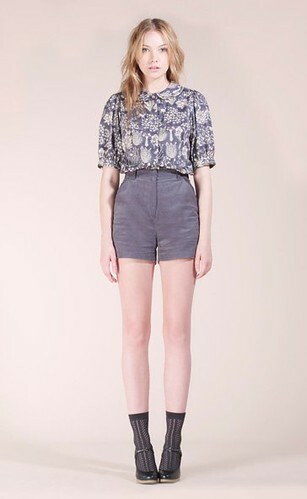 Nadinoo just released photos of their Autumn/Winter 2010 collection, and it doesn't disappoint. Swing capes, crop pants, high waisted shorts (for fall! 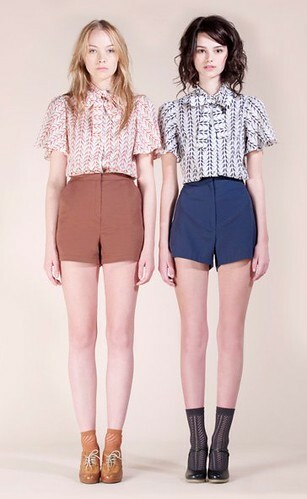 yay), and of course - peter pan collar blouses, all in the sweetest shades and prints. I've been waiting for this for awhile, ever since the cuteness of their spring collection hit their Etsy boutique. You can always expect girlish shapes and bubble gum colors from Nadinoo, which are definitely guilty pleasures of mine. Aren't the pointelle ankle socks and lace up oxfords adorable? The sandy brown cape and navy jumper are my favorites.